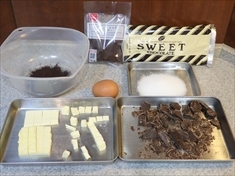 It is how to make chocolate cake to steam in an oven. 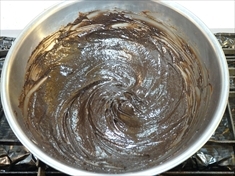 It is a moist and chocolate cake. 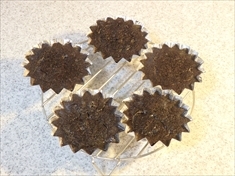 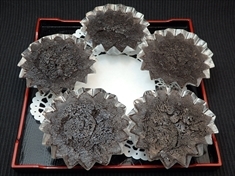 We use black cocoa powder to give rich chocolate color. 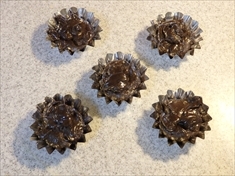 Bake the chocolate cake with a foil cup for presents. 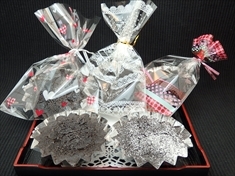 ☆Take eggs, butter and chocolate out of the refrigerator and return to normal temperature. 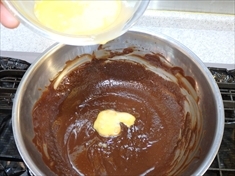 ◇Chocolate and butter cut finely. 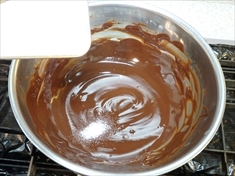 ◇The temperature of the double boiler is 50 ° C to 55 ° C.
◇Melt chocolate and butter in double boiler. 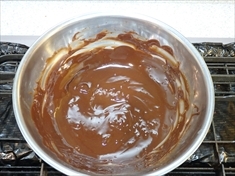 ◇Add granulated sugar to chocolate about 4 times.Mix well. 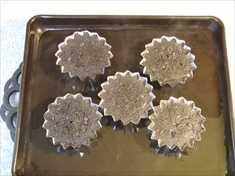 ◇Preheat the oven to 160 ℃. 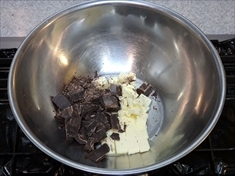 Add eggs to chocolate about 4 times.Mix well. 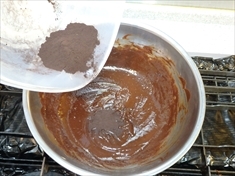 ◇Add cocoa powder to chocolate about 3 times.Mix well. 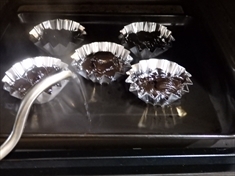 ◇Put cake batter in foil cup. 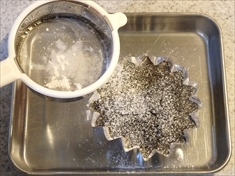 ◇Put hot water in the baking tray . 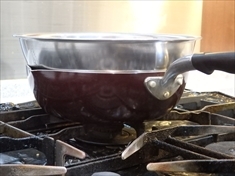 ◇Add hot water for hiding 5 mm under the foil cup. 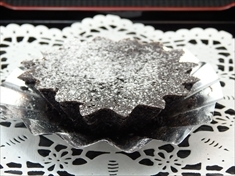 One calorie of chocolate cake is about 280 kcal.